January 2019 – KGA is attending and sponsoring the 2019 FMMA Annual Conference on April 11-13, 2019 at the Hyatt Regency in Dallas. You don’t want to miss this event! The theme for the 2019 conference is Burn the Ships! 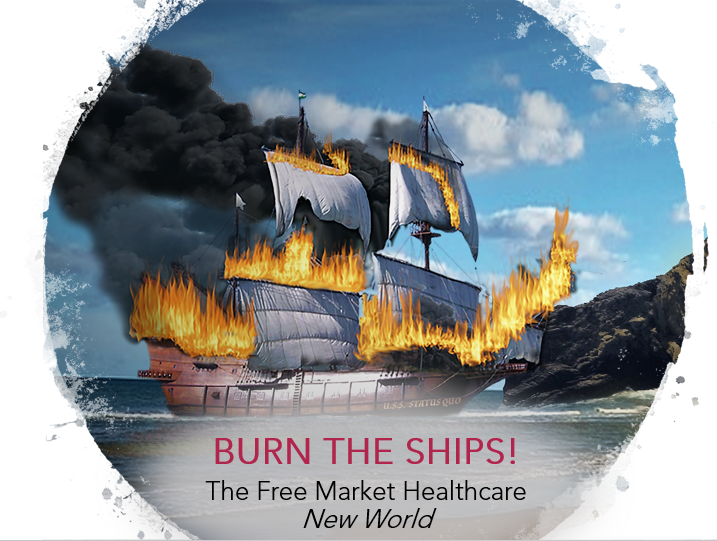 The Free Market Healthcare New World. Our speakers will motivate, energize, influence, and empower attendees to eliminate the option of retreat, reject the status quo, and emancipate themselves from the deteriorating ship. 2019 Keynote Speaker: Ron Paul, M.D. The Honorable Dr. Ron Paul will be our Keynote Speaker on Friday, April 12th during the luncheon. Dr. Paul is an American author, physician, and retired politician who served in the U.S. House of Representatives. Dr. Paul is an advocate of the free market and the proper role of government. He founded the Ron Paul Institute for Peace and Prosperity after his retirement in 2013 and remains active in promoting his libertarian vision.